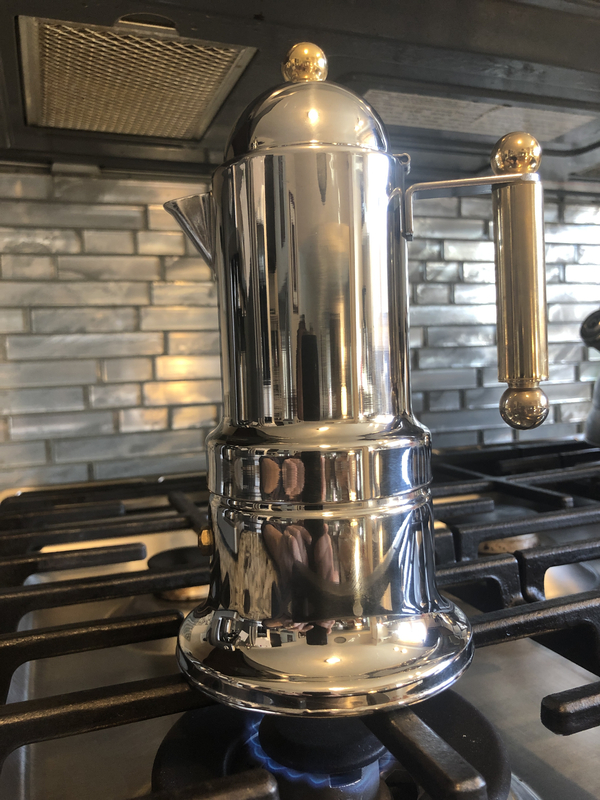 Mine was a LUCCA A53 Mini by La Spaziale. LUCCA is Clive’s branded machine. Been a while since I looked at Clive's machines. Just checked out the LUCCA A53. I have the LaSpaziale Vivaldi II, which the LUCCA's a customized version of. Controls are different but looks very similar. Love my Vivaldi. Sounds like a worthwhile class...nice couple of hours and you had a good time. Wow man, those are some nice machines they gave you all to play with. Some will look at that and go...doesn't do anything more than my KCUP espresso maker my 10 year old can operate. If you can't taste the difference, good for you, just saved yourself some cash. Those of us who can, will spend the coin. Just like cables huh, see...everything in life can be related to audio. Pulling 20 shots in your class....you guys must have been all jacked up by the time it was over. Tony, most of those 20 shots were poured down the drain, as we were slowly dialing in the grinders. Just lots of sips of mostly bad espresso. Same with most of the milk we steamed. I was feeling a little guilty about it, until the end of the class, when I made myself a nice Americano. This is my drink of choice when judging a coffee shop. Dialing in a grind sucked when I first started. No joke...you really do feel guilty tossing it. My son and I couldn't dump the first few shots but soon realized reality over the love of coffee would get us. I still can't throw away a bad shot. Live with the consequences and strive for better on the next one. Pinched too many pennies over time and I don't have enough coffee to endlessly dial in every day. Make adjustments per each shot...some days it's a 20 second shot and others it's 35...but, nail 25-30 seconds and I'm good. @maxward, I'm with you...great Americano means a great shot. @tonyb, couldn't agree more, good cables and coffee make a difference. You pay to play. ...believe it or not, I used dynamat on my LaSpaziele to make it quieter. Oh yeah, my grinder, too. Can't stand "bad" noise. The dynamat sounds like a great idea! The espresso machine at work is broken, so I am forced to drink drip brew coffee. Definitely looks the part. Brew a jug yet? Been running this guy for some weeks now (the Mrs, that is) and she loves it! The other one is long forgotten. In the basement, but we'll donate to Salvation Army. My Barista Express starting giving my wife some trouble last week. Frothing wand would shut down and barely work. Wife called Breville thinking it was shot, they offered to repair it for a moderate fee. But before they sent her down that route, they walked my wife through removing the nozzle and cleaning it out. Shocker, once it is cleaned it works like a charm! Awesome customer service and the machine just keeps chugging along. @Upstatemax, very nice. She looks pretty and, I'm sure, makes a satisfying cup. I'm traveling and drinking hotel room, generic drip coffee as I type. You just kicked me towards heading out for a descent cup. After living with this Breville for a few months, I have some conclusions. Making a cup of coffee with a Keurig must be like streaming Spotify; brewing a pot of drip is like playing a CD; and pulling a shot and steaming milk is like playing an LP. It’s a ritual, but worth it.